The Cuban cruise season opened with its first arrivals last week. The market has taken a beating in recent years because of the US ban on its citizens travelling to Cuba, but it once again beginning to show signs of growth. For the winter of 2015, Thomson Cruises’ 1,506-berth Thomson Dream will circumnavigate Cuba during its 7-night “Cuban Revolution” itinerary, which includes a night and two days in the old colonial capital of Havana as well as first-time calls at Santiago de Cuba and Holguin. The round-trip from Jamaica’s Montego Bay calls at Grand Cayman as well. 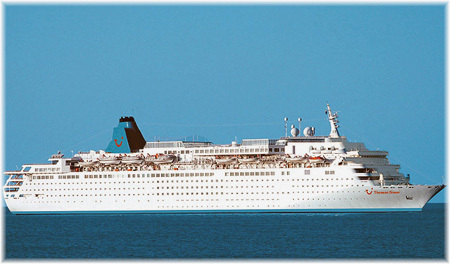 Thomson Dream will be refurbished with updated sun decks and lounges and new a la carte restaurants. This is the second Cuban itinerary for the Dream, which also offers regular 7-night “Cuban Fusian” cruises from Jamaica to Playa Del Carmen. This includes an overnight in Havana and returns to Jamaica via Georgetown in the Cayman Islands. The move follows Cuba Cruises’ launch of a round-Cuba itinerary in 2013 on board the 966-berth Louis Cristal. This Friday, Louis Cristal leaves Piraeus for a 25-night Transatlantic crossing, calling at Marseilles and Barcelona, and then heading off for calls in Portugal, Morocco, Barbados, St Lucia and Jamaica before arriving in Cuba. The cruise includes calls on four of Cuba Cruises’ six regularly scheduled ports, Montego Bay, Cienfuegos, Isla de la Juventad and Havana. Departing from Montego Bay or Havana, the Louis Cristal is returning for its second winter in 2014-15, running from December through the end of March. 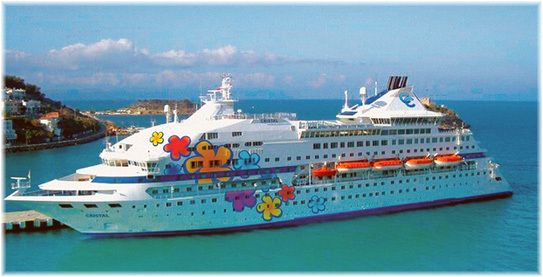 Cuba Cruise is a joint venture of Louis Cruises and Canadian investors and this is reflected in the on board experience. Purchases are billed in Canadian dollars and fresh Alberta beef and other Canadian produce are flown in each week. Star Clippers have offered Cuban itineraries since February 2014. This year, Star Flyer sails from Cienfuegos, with itineraries taking in Cuba’s offshore cays and colonial towns, as well as the Cayman Islands. Variety Cruises enters the Cuban cruise trade this winter with its 50-berth mega-yacht Panorama, offering 7-night cruises between Havana and Cienfuegos. The season will last from December 2014 through March 2015. Plantours’ 400-berth Hamburg and Fred. Olsen Cruise Lines’ 1,747-berth Balmoral and 930-berth Braemar will also be among the cruise ships calling on Cuba this winter. Meanwhile, Semester at Sea’s 840-berth Explorer will arrive in Havana this week. Semester at Sea, sponsored by the University of Virginia, returns to Cuba for the second time on November 29. Academic visits were resumed in December 2013 after a 9-year absence caused by travel restrictions imposed by the Bush administration. Havana is the last stop of the program, and there will be 624 students and 42 professors on board (see below for latest news). Cuba is expecting the arrival of more than 200 cruise ships at various ports on the island during the winter season, which will kick off this month and last until April 2015. In 2013, the island welcomed about 2.85 million foreign tourists, with Canada being in the lead, followed by the United Kingdom and Germany. Further to our earlier reports on the development of the Chinese cruise market, three more pieces of news came to light last week. Royal Caribbean Cruises and Ctrip.com International announced last week that they have agreed to form a strategic partnership called SkySea Cruises, a joint venture that is designed to serve the Chinese cruise market. Royal Caribbean and Ctrip will each own 35% of the new venture, with the balance being held by SkySea management and a private equity fund. The transaction is expected to close this month. The cruise line will begin service in mid-2015 with one ship, which is now operating as the 1,814-berth Celebrity Century, although it is believed that others will join the fleet as new vessels continue to be delivered to Royal Caribbean International. Meanwhile, in association with Carnival Corp & plc, Italian cruise ship builder Fincantieri, has signed two memoranda of understanding, one with Carnival Corp & plc, and another with China CSSC Holdings Limited, controlled by China State Shipbuilding Corp. These agreements aim to explore the possibility of joint ventures in cruise ship building for the Chinese market. This would be a three-way collaborative effort to build the first-ever cruise ships in Chinese shipyards. Based on its own experience, Fincantieri would work with CSSC to develop cruise ships production capacity in China, and could also provide special services and components to support CSSC shipyards. Carnival would work closely with CSSC and Fincantieri to contribute its expertise to create the vision, definition, and specifications for these Chinese-built cruise ships. In other news, WorldCruise.cn has announced the launch of a new online cruise booking platform catering to Chinese-speaking travellers and travel agents worldwide. WorldCruise.cn will provide data and information from more than sixty cruise lines, along with real-time booking capabilities. Chinese-speaking travellers will be able to search and book cruises as well as air and land travel packages. 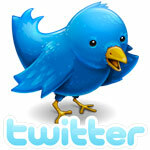 Ship reviews and destination backgrounders will be included, along with special offers. Chinese travel agents will be given a user name and log access to WorldCruise.cn, where they will be able to book their clients immediately. The Chinese Ministry of Transport projects China to be the second largest global cruise market after the US in the next several years. China could see 4.5 million cruise passengers by 2020, and could even become the world’s largest cruise market, given time. 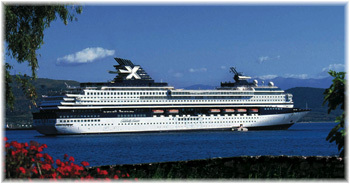 Two Chinese cruise operators already operate local cruise services. 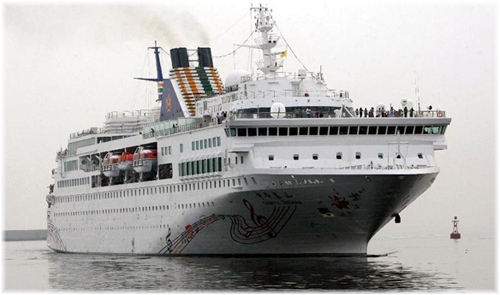 HNA Tourism Cruises operates the 1,450-berth Henna while the Bohai Ferry Company operates the 840-berth China Taishan. Both ships were acquired from Carnival affiliates. The interesting news broke last week that Costa Cruises was cancelling its program of cruises for the newly-acquired 1,494-berth Costa Celebration that was due to start on Saturday. The ship had only just come off drydock in Marseilles from her transfer from Spanish subsidiary Iberocruceros, where she had operated as Grand Celebration. The ship was built in 1978 as Carnival Cruise Line’s Celebration. Although no formal announcement has yet been made of a buyer, her sister ship Jubilee now sails as the Henna in China, while the third of this trio, the former Holiday, will join Cruise & Maritime Voyages as the Magellan next eyar. Passengers booked to sail this weekend have been transferred to one of the other fifteen ships in the Costa fleet or refunded. Meanwhile, the 1,578-berth Costa neoClassica, third ship of the Costa neoCollection fleet will replace the Costa Celebration for her planned 2015 summer program of 7-night cruises between Venice and Istanbul. Elsewhere, the Institute for Shipboard Education, which operates as Semester at Sea, has chartered its Explorer (see above) to Celestyal Cruises, the new cruise brand of the Louis Group, for a period of three years. To become the Celestyal Odyssey, she will join fleet mates Celestyal Cristal and Celestyal Olympia (1,450 berths) in the new Greek-based brand. 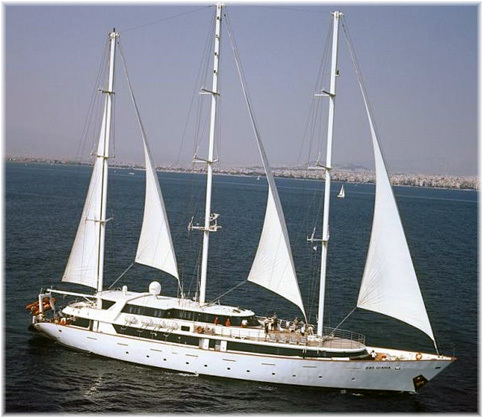 The Odyssey will join the Celestyal fleet in June 2015 to operate 3- and 4-night cruises in the Aegean Sea. In July, the Institute for Shipboard Education signed a standstill agreement with the German bank financing the ship to prevent action by creditors after payments were missed on an $83.5 million loan. The agreement required the ISE to pay $400,000 up front and $100,000 each month as the institute attempted to sell the vessel. ISE purchased Explorer in 2007 after forty-five years of chartering vessels. But rising fuel costs and the impact of the economic crisis on registrations are said to be among the reasons for selling the ship. ISE will seek another ship to charter and is also searching for a new academic partner, after it was announced this June that the University of Virginia in Charlottesville would end its sponsorship of the program from May 2016.